← Fountain Hills Homecoming Parade: Hometown Fun! The 15th Annual Fountain Hills Business Expo is being held at the Community Center on Wednesday October 23rd and all are welcome. It is a great opportunity to come and see lots of businesses that are in Fountain Hills, under one roof! The broad spectrum of businesses range from Doctors & Chiropractors to Restaurants and Real Estate. Each business has their own booth and many offer giveaways and offers to people that stop by to visit them. 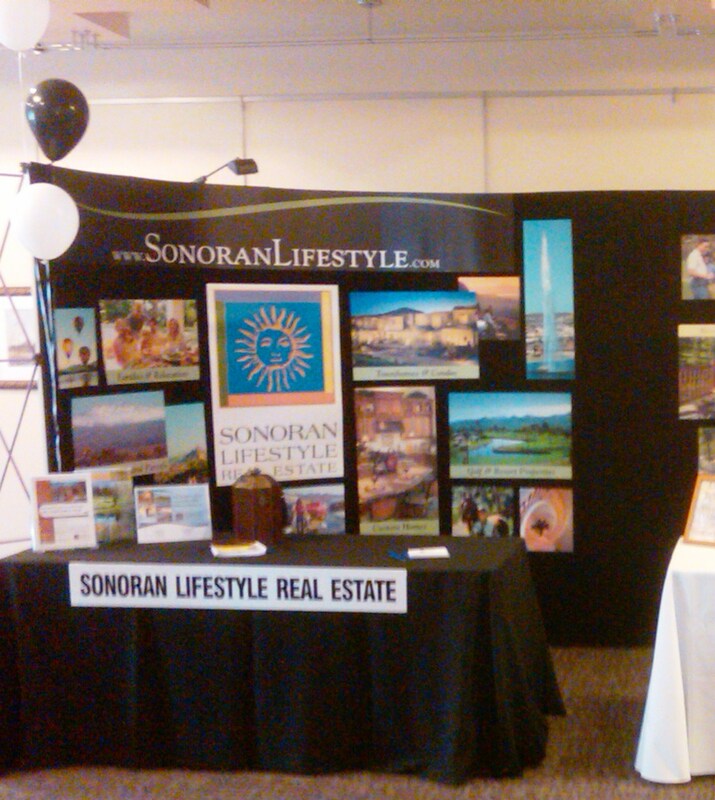 Sonoran Lifestyle Real Estate will be in the Lobby this year and we look forward to seeing you as you enter in to the event. Stop by the booth to get copies of the latest “Quarterly Market Report,” free goodies and to sign up to win a beautiful bouquet of flowers to be given that evening. This entry was posted in Businesses We Love, Clients, Customers, Friends & Family, Dining, Libations & All Things Foodie and tagged Fountain HIlls Business Expo, Fountain Hills Community Center, Fountain Hills Real Estate, Fountain Hills Town Center, Sonoran Lifestyle Real Estate, Sonoran Lifestyle Relocation Guide. Bookmark the permalink.